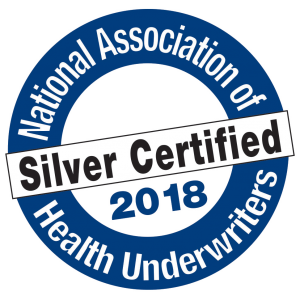 The Indianapolis Association of Health Underwriters has been named “Silver Certified” by the National Association of Health Underwriters. Silver Certified AHU organizations achieve this status by fulfilling a gauntlet of certification criteria. Such criteria include board and director membership, net growth in membership, strategic planning, member events, tax filings, and communications. IAHU satisfied 6 of 14 criteria over a 12-month time period.